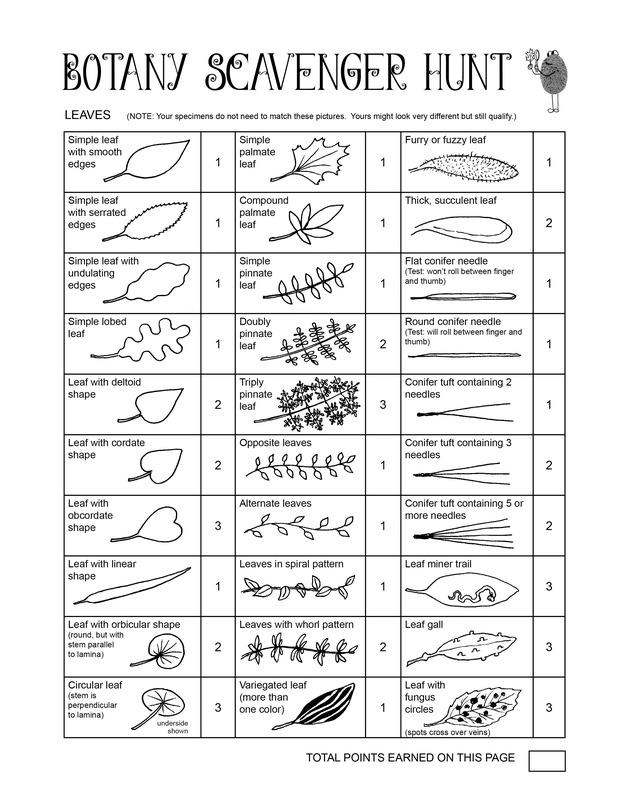 A fun way to reinforce learning about all kinds of botany terms, such as opposite, alternate, whorled, pinnate, palmate, lobed, apical, axillary, petiole, stipules, fibrous root, composite flower, tuber, stolon, etc. As little as an hour or as much as several weeks. In my classes, I run this scavenger hunt over the course of two weeks (usually in September). Just keep the collection bags in the refrigerator when you’re not out hunting!